For the first time ever, the Waterloo Regional Police Service (WRPS) is offering a new non-emergency online reporting system. 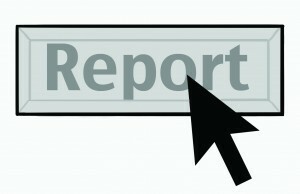 The online service option allows non-emergency reports to be made over the Internet on the WRPS website. Once submitted, reports will generate an email response that includes a temporary copy of the report and an occurrence tracking number. Police will then evaluate the statement and another e-mail with a copy of the report and the permanent occurrence number is sent to the submitter at no cost. If needed, a police officer will follow up directly. “If you have an incident where you have something stolen from your vehicle or you have damage to your car, those two can be reported online,” said Alana Holtom, corporate communications coordinator for the WRPS. The new system was created to not only give the residents more options in terms of reporting and feeling comfortable in those options, but it also will help police focus on the more urgent 911 calls. This system helps the police work out their priorities. “For example, if CDs were stolen from your car, you might be waiting for a while for an officer to come to your house. This new system is more convenient,” Holtom explained. The new system has already had some success within its first couple weeks of operations. With reports first available for submission on Oct. 29, Holtom shared that the Waterloo Region Police received numerous online reports of theft and lost property in its first week. “It is something that the people are interested in, something that is convenient for them and it’s something that we’re pleased to offer to our residents,” Holtom said. The new system has already made Waterloo residents feel more comfortable about contacting the police. Waterloo resident David Churns claims that though he hasn’t had to contact the police for damage or stolen property, he finds comfort in knowing that the system is still there. “The only thing I’ve ever really worried about is any kind of damage made to my car and I know that it’s certainly not something that warrants a 911 call,” Churns said. Holtom also reiterated that all reports that are made online are processed through the WRPS Records Management System and will be given the same examination and statistical investigation as reports filed by a police officer.